Just a few minutes ago I posted an entry list for the 2014 TT ZERO that lacked an entry from home-town team ManTTX. That team is based on the Isle of Man, and has raced in every previous running, even including the 2009 TTXGP. It'd be odd to hold a TT ZERO and not have a ManTTX entry, and indeed while looking for data on the previous post I found a news item saying Dave Moffit was going to ride for ManTTX. 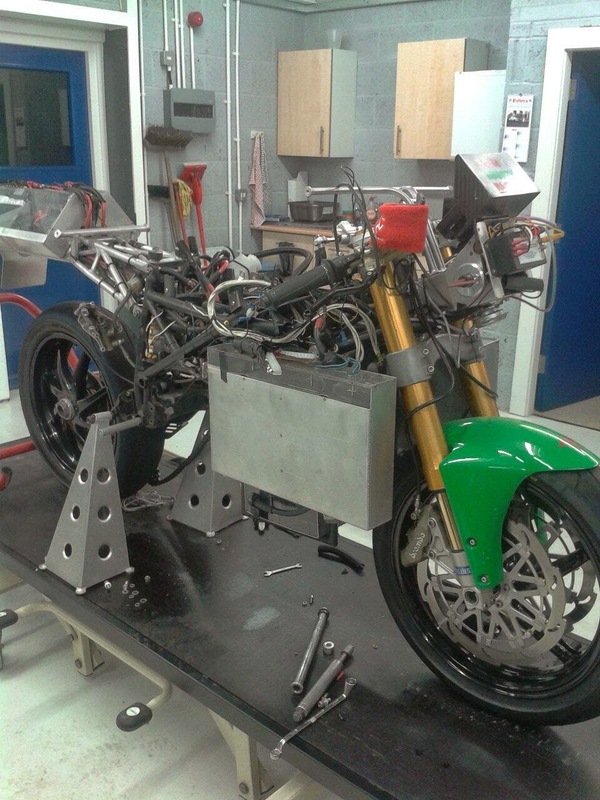 Now a posting from the team on Twitter shows a partly assembled bike. They'd better get a move-on, the race is coming up, eh? It's a little late in the game to have the bike in this shape, eh lads?